There are lots of useful ways in which we can work with employers in ways that can enhance the employability of our students. Whether long or short, we can work with employers to host work experience opportunities. Further details on this are available in placements, work experience and professional practice. Students can be connected with an employee in a long-term relationship in order that they can benefit from their knowledge. The mentor can help develop, coach and encourage the student. This can be done face to face, by Skype, through e-mentoring etc. Mentoring can help students understand better the skills and experience they are developing, and more importantly, why. It gives them direct feedback which can be powerful and will help build their confidence. Alumni are typically keen to act as mentors due to their close connection to a programme and its students. 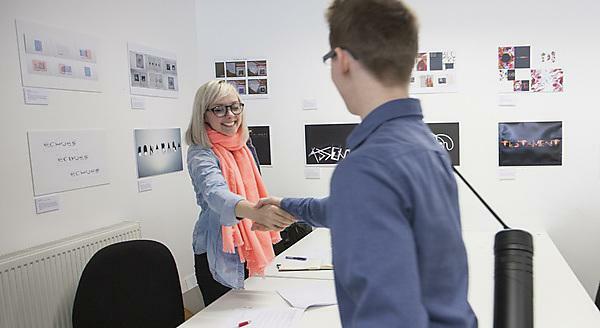 Students can be introduced to workplace environments by organising workplace visits. For example, students studying geology might go and visit a quarry. This gives the students a real and contextual feel for some of the material they have been studying in class and a chance to interact with an employer and ask questions. To get the most out of workplace visits they should not be designed as bolt on, but should clearly link to learning outcomes, subject content and assessment. An excellent example of making the most of a workplace visit is provided by the Employer Insights initiative at Kingston University in which groups of students on a Marketing programme visited a practitioner in the workplace to film a short interview. They used a pre-agreed discussion guide, to focus the conversation on current developments in that field. They also asked for advice on securing a job in marketing communications. The films were then shown to the rest of the class to stimulate discussion and debate. Employers can be invited into the classroom/programme to share their experience of the application of the subject and to give insights into their work. When this is done successfully this can make the curriculum more relevant and integrate vital and discipline-relevant career management guidance. Care needs to be taken with how this is managed as guest speakers are not always well received by students, who can see them as bolt on, and not linked to their primary concern – assessment. This is particularly problematic when employers are invited in to provide 'optional extra' talks. How guest speakers are used therefore needs careful consideration. Involving employers with assessment is a less utilised area of employer engagement (QAA, 2014) but one that can provide great benefits; the external validation through feedback given by employers being particularly powerful Qenani et al. (2014) and Ehiyazaryan and Barraclough (2009). Getting students to do projects that they present at a mini conference alongside employers or in the format of a critique of their work (common in Arts disciplines). The employers contribute to marking the work, the students receive immediate verbal feedback, and they get useful networking opportunities. Set up student projects in which the students work in consultancy teams on a project for an employer. The employer might provide formative feedback as part of the process and also might want to be involved in contributing to the summative assessment feedback, whether this be written or verbal. CES has much expertise in employer engagement can support programmes to work with employers. Ehiyazaryan, E., & Barraclough, N. (2009). Enhancing employability: integrating real world experience in the curriculum. Education + Training, Vol.51(4), 292–308. Quality Assurance Agency (2014). Employer Engagement: Emerging Practice from QAA Reviews, Quality Assurance Agency for Higher Education. Qenani, E., MacDougall, N., & Sexton, C. (2014). An empirical study of self-perceived employability: improving the prospects for student employment success in an uncertain environment. Active Learning in HigherEducation, 15(3), 199–213. Stanbury, D, Williams, H. and Rees, J. (Undated). Engaging employers to enhance teaching and learning: Ideas and approaches for work-related and placement learning, Career Management Skills (CCMS), University of Reading. National Centre for Universities and Businesses: ( NCUB) is an independent and not-for-profit membership organisation that promotes, develops and supports university-business collaboration across the UK. Konfer : In 2016, the NCUB with partners at HEFCE and Research Councils UK launched konfer, an intelligent brokerage tool that has been created to improve the ease with which university-business collaboration can be enabled and maintained. Graduate employability: videos for educators . 'Building strong Connections with Employers' & 'the Employer Perspective'.